As an American, I am blessed to live in a region of the country that is both visually and culturally rich. 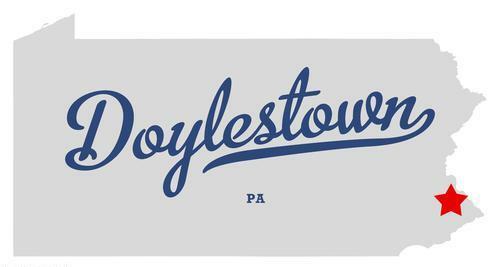 As a small town, Doylestown is nestled between Philadelphia and New York. Like many of its’ inhabitants, I am an urban transplant, moving here from New York 20 years ago. Times have changed much in Doylestown and the surrounding area since 1990. Like most American towns, it has been impacted by changes and shifts in societal and cultural values, as well as economic upswings and recessionary downturns. Like other American towns, Doylestown’s inhabitants reflect the times we live in. In times of economic downturns many of them are distressed, anxious, worried and worst of all: living in fear. One of the main elements I teach as a life coach and business coach, especially when clients live their life from a fearful perspective, is to look at what appear to be obstacles as opportunities for positive growth and transformation. Life, be it on Main Street in Doylestown or 5th Avenue in New York, isn’t always easy. It’s rules however, are intended to be simple. It is you and I who tend to make it complicated. Life is simplified and made easy when you and I get out of our own way! Most of my local coaching clients live and work in the vicinity of Doylestown. Some have careers employed by small, local companies. Others are small (and in some cases medium-sized and large) business owners. No matter who they are, single, married, divorced, what their educational or religious background is, they all seem to be at a point in their life that represents a transition. This transition that many of my clients are experiencing places them in a precarious position. It literally feels like being on the open waters of the ocean without a life preserver. It’s either sink or swim or the sharks are gonna get ya! When obstacles appear in your life and you give your personal power over to them, you will sink. Treat them as opportunities, and you’ve begun to swim. When I collaborate with clients, I am throwing them an emotional life preserver. So, what are some of the obstacles my clients who live in the beautiful hamlet of Doylestown facing today? Well, for one thing, uncertainty about their futures. The future of their finances, their relationships and their physical and emotional well-being. It is about having peace of mind and cultivating stronger bonds with other human beings! It’s about feeling good about who you are! It’s about co-operating with rather than competing against others personally and in business! It’s about wanting to jump out of bed in the morning and making a real difference! You see, everyone who hires me or Chris as a life coach does so for one reason, and one reason only: they want to re-connect with themselves; the person that somehow got lost in the shuffle while traveling on the highway of life and forgot that life was meant to be easy. When times seem tough, as they appear for far too many here in Doylestown, Pennsylvania and elsewhere, the solution always lies in our own personal strengths as individuals. Together, through collaboration, we can turn the depths of despair into mountains of hope and optimism and some damn good results! However, no matter what your current circumstances are, it has to start with you! And why is that? Because the only aspect of your life that you can truly control is you. And we control ourselves and the results we achieve, by the choices we make. Chris and I always remind our clients how powerful they really are when it comes to creating positive change and transformation in and for their lives. Life can be easy. Life can be hard. You can be down and out or up and in the game. I have experienced both scenarios countless times throughout my life. I now choose easy. I now choose up and in the game of life. Yes, times may be tough. However, you do not have to choose to buy in to that notion. I know a great many people in these ‘tough times’ who refuse to buy in to pessimism and hang with the ‘down and out’ crowd. As a fellow human being and as someone who genuinely cares, I appeal to the you who knows there is hope for a positive shift in your life and your life situation. Over the years, Chris and I have witnessed miracles, both personally and with clients. No obstacle will be given to you or I that either one of us cannot handle. All it really requires is preparation. And how do you prepare? For my life coaching clients, be they in Doylestown, Pennsylvania, Eau Claire, Wisconsin or Oxfordshire, England, the response is always the same: to be truly prepared means you consciously choose to see everyone and everything that appears in your life as a blessing. Know that a blessing is an opportunity to share your strengths with others so that they too can be uplifted and then pass their strengths on to others, and so on and so on. Regardless, it has to start with you through preparation and the courage to take action. Decide today, no matter what your circumstances, no matter where you live in the world, no matter what your personal history is about, to make a personal commitment that from this moment forward, you are preparing for a new way of living your life. You are choosing what’s really important for you. Keep me posted! I love to hear about miracles! Previous PostWhat’s the Real Message Being Sent When Parents Text Message?Next PostWhat’s All the Hoopla About the Mayan Calendar and 2012? I love this guys, “It’s not about beating yourself up because of so-called failures and shortcomings,” as I can tell you from my own personal experience that beating myself up for not being where I should be today or not meeting what Ive felt my parents or my wife or my childrens expectations were for me today! Your absolutely right! It is about finding inner peace, peace of mind. You guys are hitting the right nerve, pushing the right buttons, and youve definitely got my attention! Bob, you made some really valid points, too. As children, we are convinced that our sole purpose is to make others happy. When we awaken to the fact that this is not the case a great weight is lifted from our shoulders. As humans, our soul function is to be inspirational to others, including those closest to us. To be inspirational means to live life from within, the unique spirit that is you! It sounds like you are leading by example! Enjoy the journey! Great message. I have found that changing the perception of my world starts with being honest with myself and then being open minded (because I certainly don’t have all the answers) and willing to listen and take action. I have come to value the fellowship and support of others because I usually am unable to tear down the barriers I have put up in my life alone. It is through the act of working with others to tear down my barriers while helping them with theirs that enables me to begin to outgrow my fear of change and the unknown. Thanks for sharing your personal experience, Gene! We love talking about collaboration because it is the only way we can survive as a species. Think back to the days when we lived in caves. Without a fellowship we would now be extinct. Somewhere along the way we adopted the philosophy “it’s every man for himself.” Well, that has just gotten us into one mess after another. Just look at the history of the world! With the realization that we are all connected we easily come to the realization that we are and can never be alone. Collaborating at any level is the quickest way to outgrow our fears of what is yet to come. Happy collaborating! Hi Jon and Chris, I really enjoyed this blog post. It really doesn’t matter where people live, life still offers its’ fair share of challenges. I’m glad that they have leaders like you to turn to and learn that there is always hope and that success is certain, even in Doylestown, if you put the right plan into motion. Thanks for the acknowledgments, Rex! When we each put people first and live by the intention to think, speak and act for the highest good of all concerned then success is certain for all concerned. And yes, there is always hope for those who still prescribe to living in despair. It is up to us as leaders (and by the way when we refer to ‘leaders’ we are speaking from the perspective of inspiring and empowering others to emotionally heal) to stay the course of hope and optimism, especially when we are bombarded by messages to the contrary. Hi John and Chris! Wow what a great article! It reminded me of a term I’ve heard many times. ‘Home is where the heart is.’ And whether that be in Doylestown, or here in Eau Claire, Wisconsin. Being at home with ourselves and understanding where we are at in life starts at home and in the heart. Have a great day and an even better tomorrow! What a great term, Bill. ‘Home is where the heart is.’ This term has a dual meaning and is quite relevant to anyone who is seeking personal transformation. The first meaning is our physical homes: where our nuclear unit of loved ones inhabit. On a deeper, metaphoric level for each of us, our heart is literally the center or home of who we are. It represents the central location or base camp where our authentic self lives eternal. It is where only Truth exists without any opposites. Remember the classic line in ‘The Wizard of Oz’ when Dorothy ‘awakens’ and says, “Oh, Auntie Em, there is no place like home!” The author, L.Frank Baum, was not referring to Kansas! He was suggesting to each of us to look within, to ask our hearts for the answers that we already possess. Yes, Home is where the Heart is, Bill and also where your wisdom lives! Thank you for sharing, too! This was a wonderful entry. We’re all the same, aren’t we?! The circumstances may be different, but the issues are universal. You speak from the heart, you speak your truth, and the result is wonderful. It touches my heart. Thank you for your kind words, Eileen! Yes, we are all the same. In fact, at the deepest level we are all one playing the game of life with each other. It is with great optimism that we say, write and do what we do and it is that same optimism that is being fueled by individuals like you who are willing to step-out-of-the-box and share their journey so others can transform and heal. Love to you, too!